2012 – THE CON CALENDAR KICKS OFF! 10th-11th March: Roll Out, Roll Call 2012 – a feast of all things Transformers and G.I. Joe in Southampton (UK), with guests including myself, Larry Hama and Andrew Wildman. For more info, check out their website here. 19th-20th May: Kapow 2 – Mark Millar’s extraordinary celebration of all things comic book returns for 2012, with a phenomenal guest list already, with a host of special guests still to be announced! For details, check out the Kapow website here. 3rd-5th August: Auto Assembly – the UK’s premier Transformers event, now in posh new digs for 2012. For details, check out the AA website here. Keep watching for more details and other confirmed appearances. NEW MATT HATTER – 2NITE! Continuing the tradition of brand new Matt Hatter episodes every Monday night, Nicktoons UK has another one for you tonight, at 5.30PM. Don’t miss Matt, Roxie & Gomez confront the mind-boggling menace of the Minotaur! 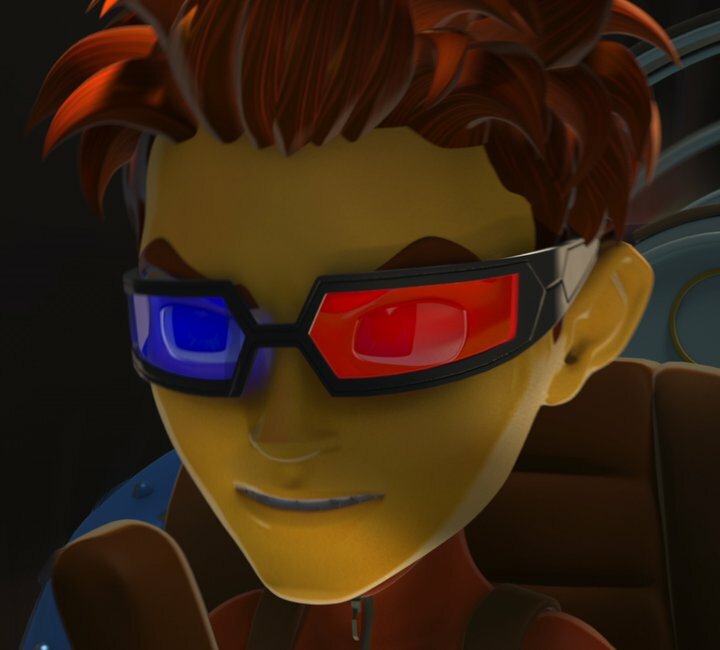 And remember to check out Matt’s very own facebook page here. The second of two recent interviews I did for online sci-fi mag Starburst is now up. 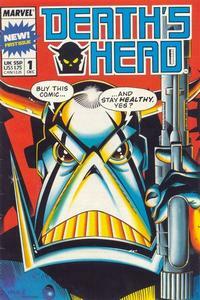 This one features my thoughts and recollections on Death’s Head, the erstwhile ‘freelance peacekeeping agent’, whose 24-year career has seen him progress through Transformers, Doctor Who, Dragon’s Claws, She-Hulk, Fantastic Four (and many others) into his own series & original graphic novel (and on into various reinventions). You can check out the interview here. Just a heads up that my current batch of ebay auctions is ending in the next 24 hours (or so). So, if you want to grab yourself a signed set of (unpublished) War Within: Age of Wrath scripts or a copy of the ultra-rare Titan Time Wars collection (signed, of course) or Marvel Heroes #33 (featuring the Death’s Head vs Hulk clash) or something else from the rare/signed stuff on offer, head over to my ebay selling page now. You can find it here. Yep, not one but two Auto Assemblies for me this year! The parent one earlier this year in Birmingham, and now its offspring — Auto Assembly Europe! The convention formerly known as Nordcon is back, and this time it’s a whole weekend in Uppsala, Sweden. Nordic transfans (and possibly others, from further afield) will be descending on Uppsala over the weekend of November 12th and 13th, and I’ll be there to greet ’em with my usual stash of signed original scripts and comics. 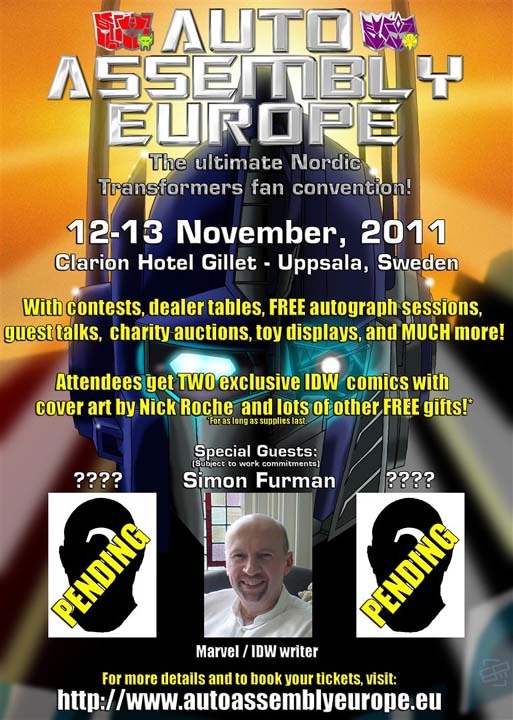 I’ll also be doing a Q&A panel on the Saturday… who knows what I might let slip about about Transformers #81… and my script-to-finished page presentation (now with enhanced gallery section, featuring rare and unseen Transformers art) on the Sunday, as well as judging the Nordic Transformers fanfic competition, the winners of which (as well as bagging great prizes) will be published in AA Europe’s post-convention magazine! Last year at Nordcon was great, and this year promises to be even bigger and better. If you can make it to Uppsala, I look forward to meeting you there. For more details about tickets, venue and more — check out the AA Europe website here. Starburst, the online sci-fi magazine, has published a Dragon’s Claws retrospective, featuring a new interview with me. So if you remember the series (published by Marvel UK in the late 80s) with some fondness, here’s your chance to wander down memory lane. If you’ve never experienced Dragon’s Claws, the collected edition is available to buy on Amazon (and other shopping sites). Check out the Starburst feature here, and the collected edition here. Actually, last night too (so this notice is kind of a day late), and all this week, on Nicktoons UK. 5.30PM. Last night, in the pilot episode, he battled The Black Knight (in an episode written by me). Tonight he faces the power of Scorpiotron. Check it out. It’s channel 717 on Virgin cable, 606 on Sky. 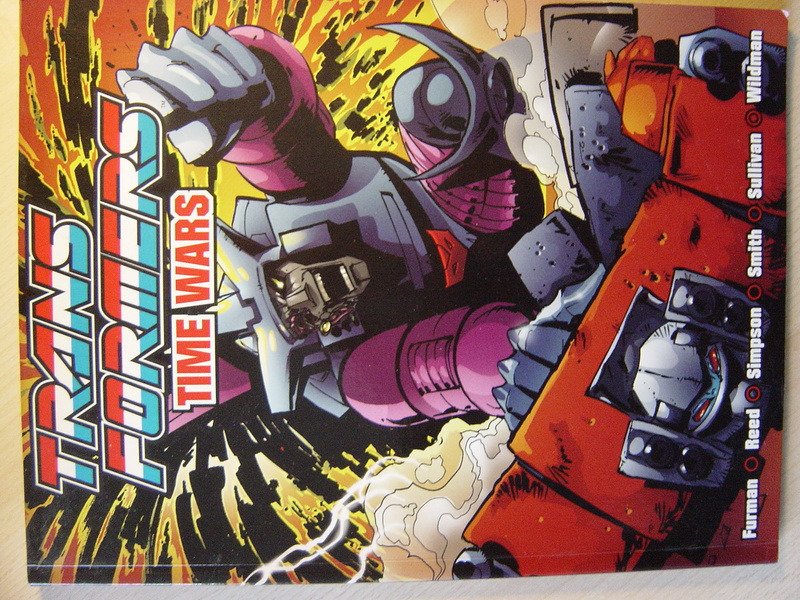 You are currently browsing the simon furman blog archives for November, 2011.